Shirt is in a blue green check pattern with a double collar. Stylish shirt for men. 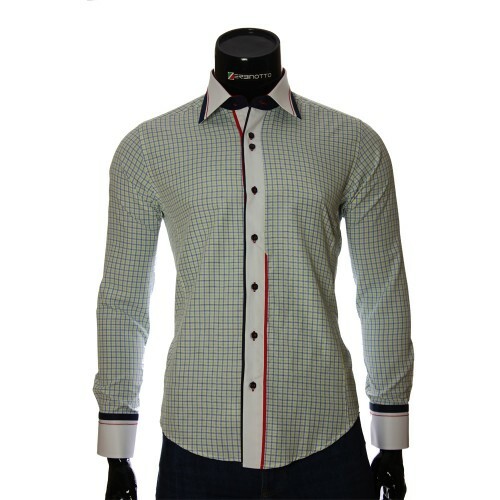 This man's shirt is made in a multi-colored pattern. 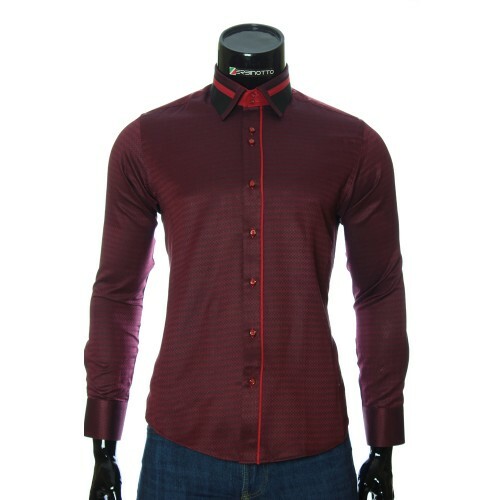 The combination of bright colors creates an original "3-D" effect. 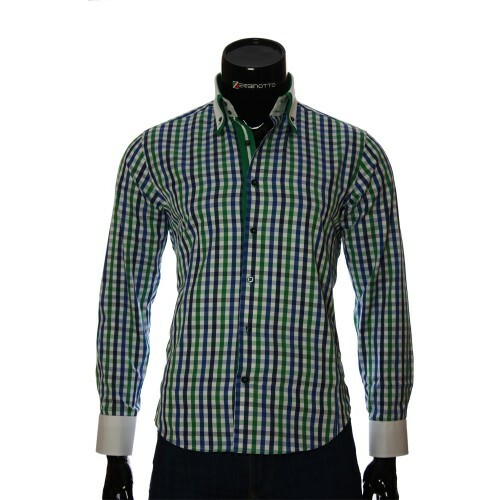 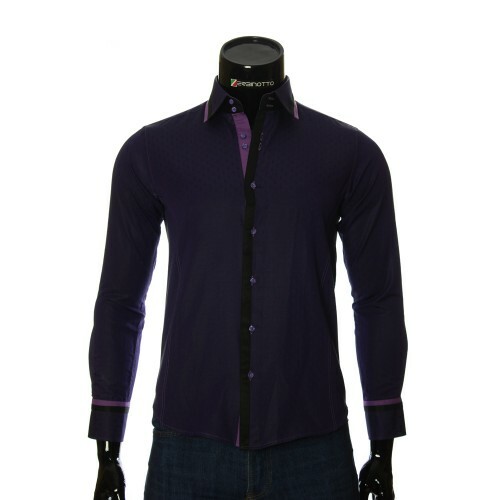 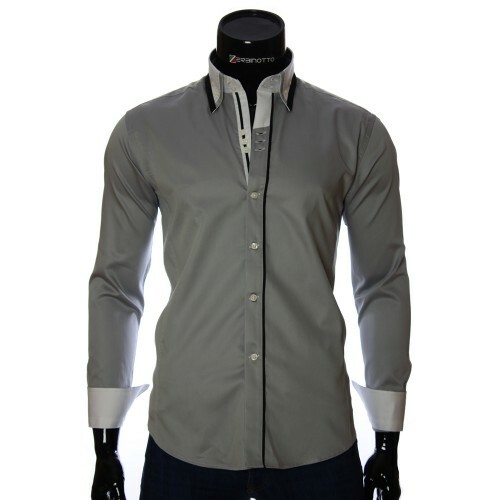 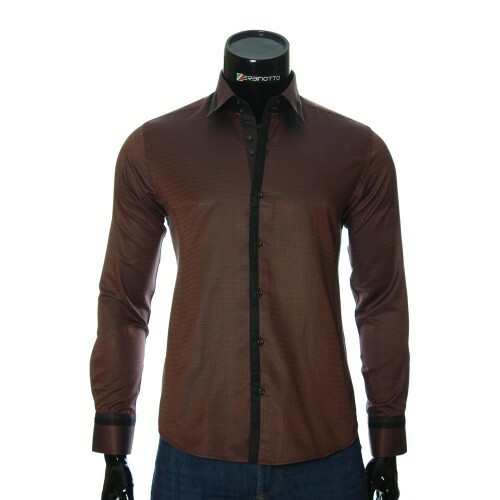 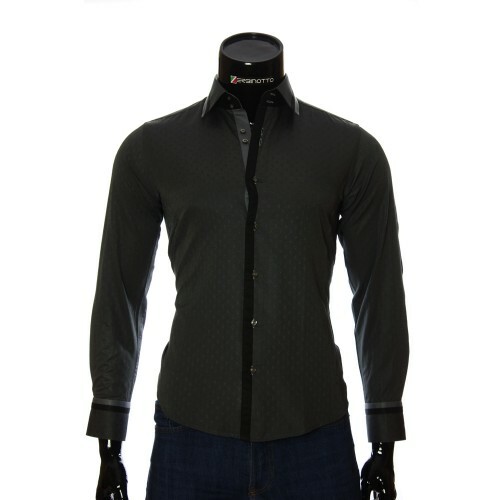 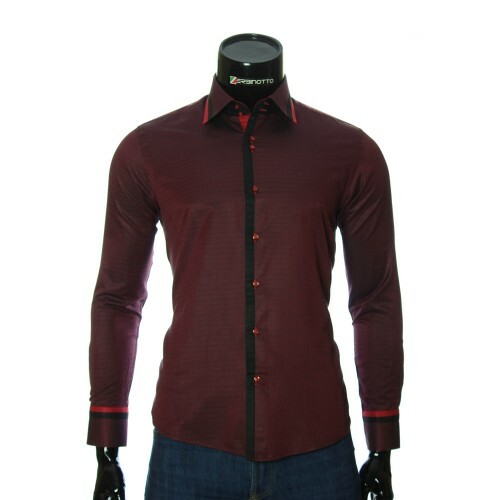 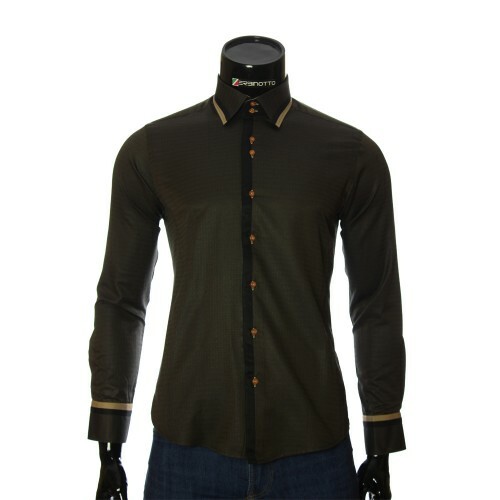 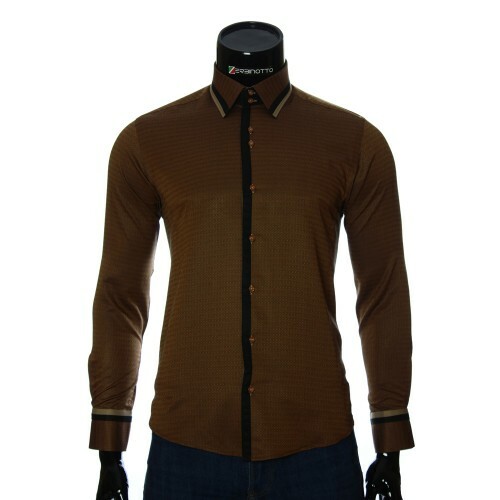 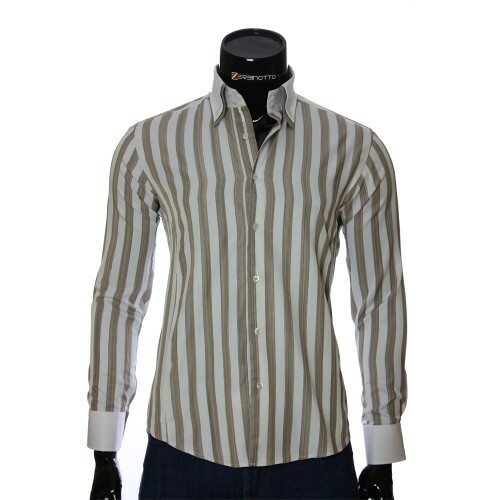 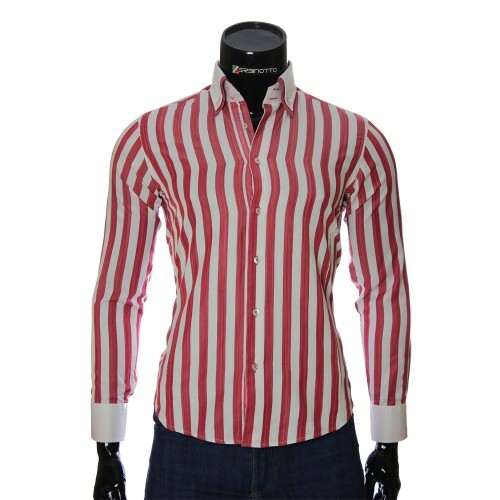 In this slim fit shirt there is a double collar with buttons and double-sided cuffs. 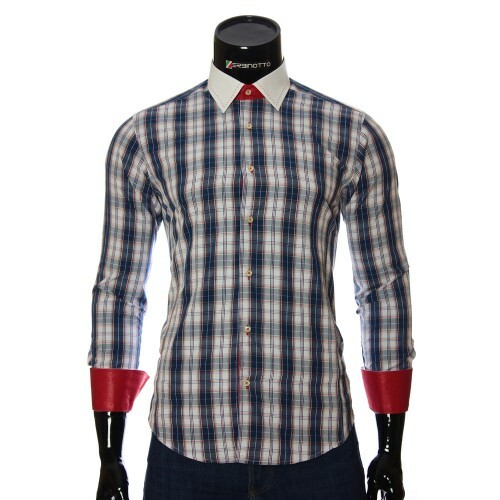 Made in white, they look very contrasted against the background of the multi-colored check pattern. 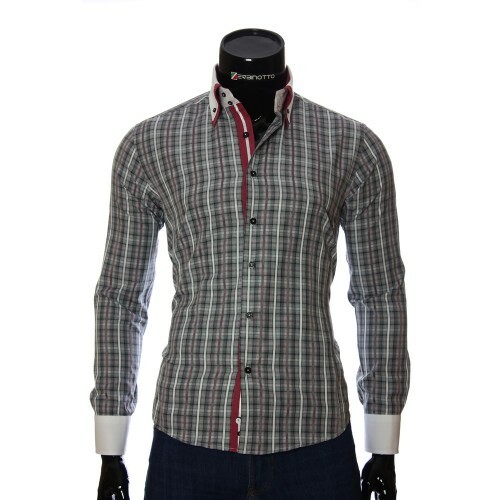 цвет и размер рубашки соотвествует. доставка Новой Почтой очень быстрая.